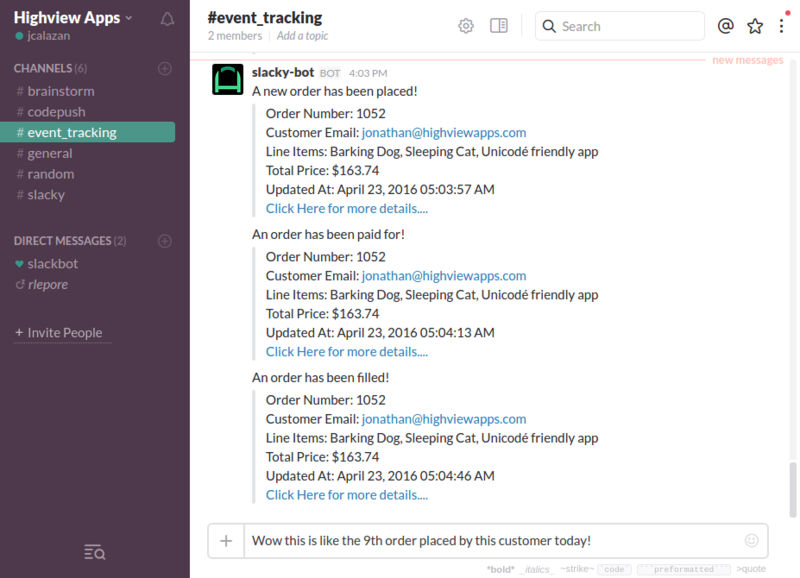 I'm currently working on version 2 of our Shopify app where we'll be adding custom Slack slash commands. When adding slash commands to a custom app, Slack requires the receiving server to have a trusted (not self-signed) SSL certificate. Around a couple of months ago, a good friend of mine who's also a developer and I were chatting on Slack about app platforms we could build apps for on the side. One platform that came up was Shopify and after doing some research on the Shopify App Store we decided to team up to build our first app. We called our company Highview Apps.